Recently, I was asked where I get the ideas for my weekly column. Throughout the week, when I see or hear something that interests me, I often make a short note about it. Sometimes we have little Post-it notes scattered all over the house. Sometimes a little Post-it note can become a full column. If that fails, I can always write about one of the many dumb things I’ve done in my life. Last week a few of our grandchildren were over for a short visit. We were in my office looking at something on the computer. My office walls are plastered with photographs of people and events from my life that I like to remember. One of the pictures show me holding a caiman. A caiman is a member of the reptile family that includes alligators and crocodiles. The caiman in the picture was just over four feet long. That picture triggered lots of questions. As I told them about the photograph, I realized that it was taken on Easter 16 years ago. At the time, I was on a mission trip deep in the Amazon jungle. The people who live in the depths of the Amazon are very poor. The jungle provides them with almost everything they need for survival. Unfortunately, that doesn’t include healthcare. I was there as part of a medical-mission team from the University of Cincinnati. Our goal was to set-up clinics in small villages along the river. While we were there, we wanted to evaluate and treat as many people as we could. In 2003 our trip occurred in April. That allowed us to spend Easter deep in the jungle. Our leader, Dr. Keith Holten, decided that we wouldn’t work that Sunday. Instead, we would spend the day experiencing many of the wonders of the Amazon jungle. We started the day by taking our small boat to the edge of the jungle for a jungle hike. Our guide was from a nearby village. He knew firsthand about the uses of the plants and trees that grew throughout the wet, hot, humid jungle. Within minutes, we were covered with sweat, mud and scratches. After cleaning up, we went fishing for piranha. The wide, watery area between the river and the land, where trees grow and overlap the water, is known as the igapo. That’s where piranha usually live. A piranha is about the size and shape of a large bluegill. They are surprisingly tasty when breaded and fried. Our jungle expert and river guide for the week was named Bigode. The name means “mustache” and is pronounced “ba-go-sia.” He was a muscular man with a hearty laugh and an amazing knowledge of the rivers and lakes throughout the area. Surprisingly, Bigode was clean shaven. Instead of fishing quietly, Bigode told us to beat the water with our fishing poles. That simulated an animal thrashing around after falling from a tree. The piranha would then swim toward the sound to feast on whatever animal was unlucky enough to have fallen into their lunchroom. We used raw meat as bait. Within minutes, those little river monsters were everywhere. We caught several. Bigode was expert at removing hooks from the needle-sharp teeth of the piranha. I wasn’t about to try that. One bite could remove a finger. I let Bigode do the honors of hook removal. After dark, we went hunting for caiman. Bigode knelt in the bow of the small boat with a spotlight in his right hand. He directed the bright beam across the water. The glowing eyes that reflected back belonged to caiman. Another guide, Audo, would watch Bigode’s hand signals and would guide the boat quietly toward the floating caiman. When we were close, Bigode would quickly reach into the water with his left hand and grab the caiman by the back of the neck. When it was secure, Bigode would allow us to hold it. It was a good system. Later in the evening, I was sitting directly behind Bigode. He grabbed for a caiman but missed his mark. Instead of grabbing the creature behind the head, he held it just in front of the hips. That four-footer was thrashing and flailing. It was all Bigode could do to keep from dropping it into the bottom of the boat. He was struggling. I shouted, “Bigode, can I help?” Honestly, I assumed he was going to hand me the spotlight. Nope. The next thing I knew I was hanging onto a large, angry caiman. I had one arm under the creature, with my hand firmly holding him under his neck. The other hand kept his tail from whacking anyone. I didn’t realize what a dumb thing I had done until I saw that picture. The moral of the story is… be careful what you ask for. 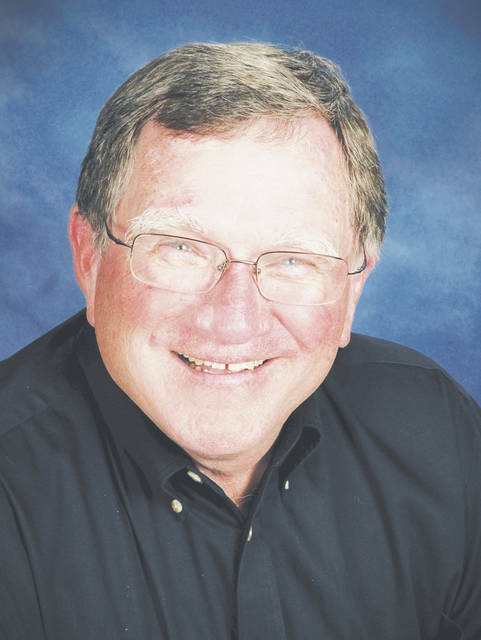 Randy Riley is former Mayor of Wimington and former Clinton County Commissioner.